but no complaining from this end! at least it is getting better, slowly but surely! i went Xmas shopping on Saturday and am pleased to announce that i did well! all the gifts for the kids are under the tree! and i bought myself 2 books for Xmas! yes i ahve to buy my own gifts, comes with being alone! i got myself the TWILIGHT book the whole world is on about! and i got the book following "the pillars of the earth" i didn't even know there was a second book so i was like a littke kid in the bookstore! i had the mgiftwrapped so i can't read before Xmas! aren't i good?! 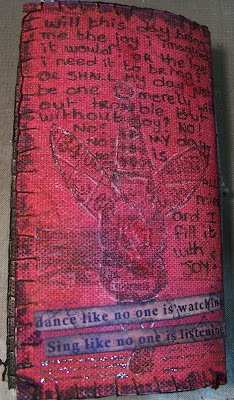 this weekend i finished my littke canvas book i made with Claudine Hellmuth's sticky-back canvas! great stuff! i used Claudine's paints and matte Multi medium! i sooo love this medium! 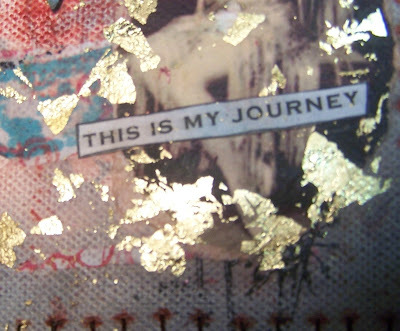 i even used it to adhere the goldleaf, it worked like a charm! i mixed the paints with Perfect Pearls and watered them down, i monoprinted with them, i splashed and brushed on, i dabbed them on with Cut 'n Dry foam! do i love these paints? they mix, they hold their colour! they are semi-gloss! 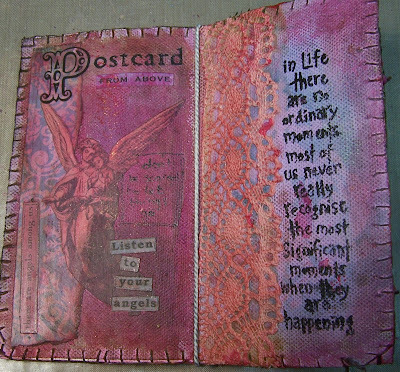 i used Ranger Distress Inks, Distress Embossingpowder, Goldleaf, Ranger Stickles, Paper Artsy stamps! (thanks Leandra!) i love them! ohh and i painted the flowers! they were all different colours to start wirth, all left-overs. Yes with Claudine's paints, watered down and mixed with perfect pearls and dryed with the heattool, they turned out great! i added little charms i bought in NJ, i know the flowers look a little out of place in my book, they are bright! but that is who i am! pink one day and dark the other! it's my book! 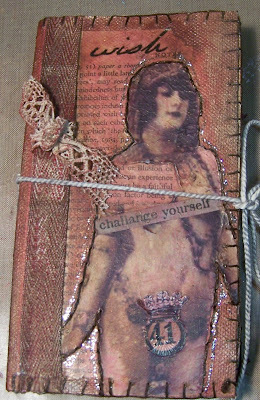 i collaged with stamped tissuepaper, book pages, Grungeboard, wrapper of my fav Cadbury's chocolate! 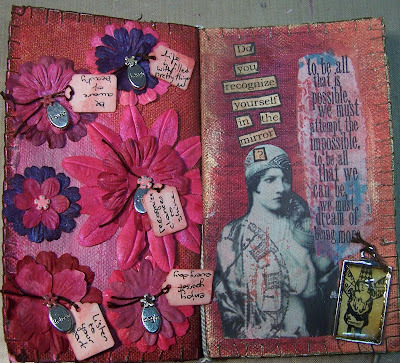 Tim Holtz' tickets,... i loved working on this book! ohh you should see the shimmer on this red page! it is magnificant! really it is! I never thought i would love Claudine's line so much and i never thought it would fit into my style bit it has and i am soooo pleased with her joining the Ranger Crew!!! aren't they all great!?!!! and then you all only know the designers! there are some pretty great insiders there at Ranger! Merry Christmas to you all!!! you all really made my year 2008 a happy one! especially in October hihi! what will i do next? i think i'm going to get my Utee and Melting pot out and play!!! Lovely lovely book :-)) I couldn't agree more, Claudine's paints are the best ever. And the multi medium and the canvas too! The colours are just the best and they look fab in your book. Gorgeous! mooi gedaan! voor een workshop....? Wow! I love your book...some times the more personal ones we create are the hardest to do because they expose so much of our selves. But the creativity really does get us through crazy times. 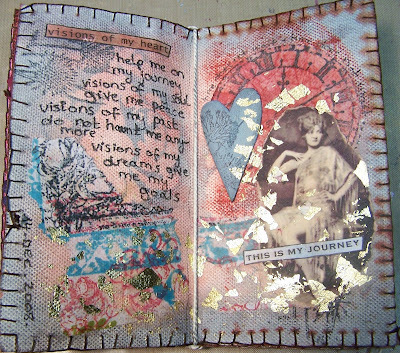 your book is fab and it is very evident your heart is in it. 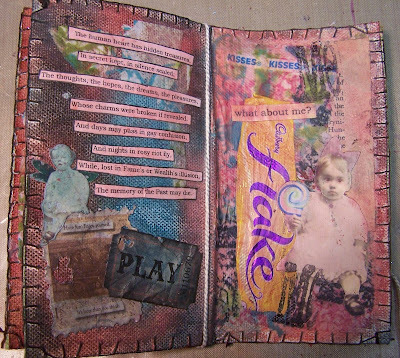 We've had a rough couple months around here and i have thought of doing an art journal myself-new territory for me however. I;m glad to hear you are feeling better!! OH! and i have to agree about those ranger people- they freakin RAWK! I like the busy/ grungy backgrounds : the stitching around finishes it off. 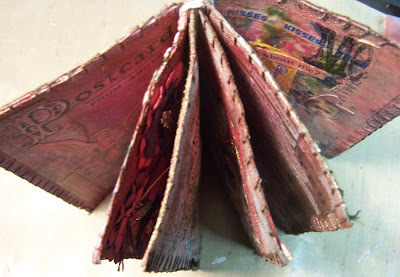 If looks like a real tactile book ! happy X-mas and a lot of creative inspiration ! Thanks for dropping by my blog! 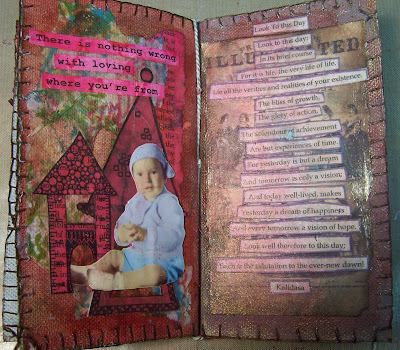 I love your canvas book - its very cool, full of yummy textures. Glad to have found at least one other 'product-sniffer'like me! So wonderful, thanks for sharing. I got the link to you from Claudine. Merry Christmas. 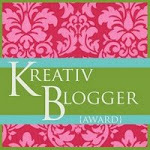 i recieved a lovely award!